This is a recipe that has been on the blog for a few years but just realized we didn't have a pic for it so we have added one. 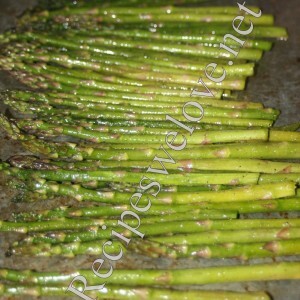 Take one bunch fresh asparagus break the woody ends off. 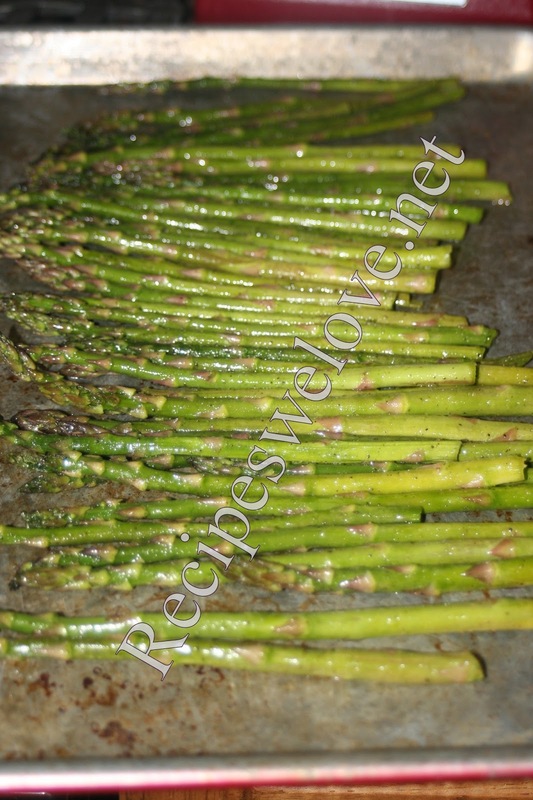 Toss in Olive Oil, garlic salt, and pepper or you can just use house seasoning. Place in baking dish and bake at 350 for 15-20 mins. I also like to add sliced mushrooms to this.